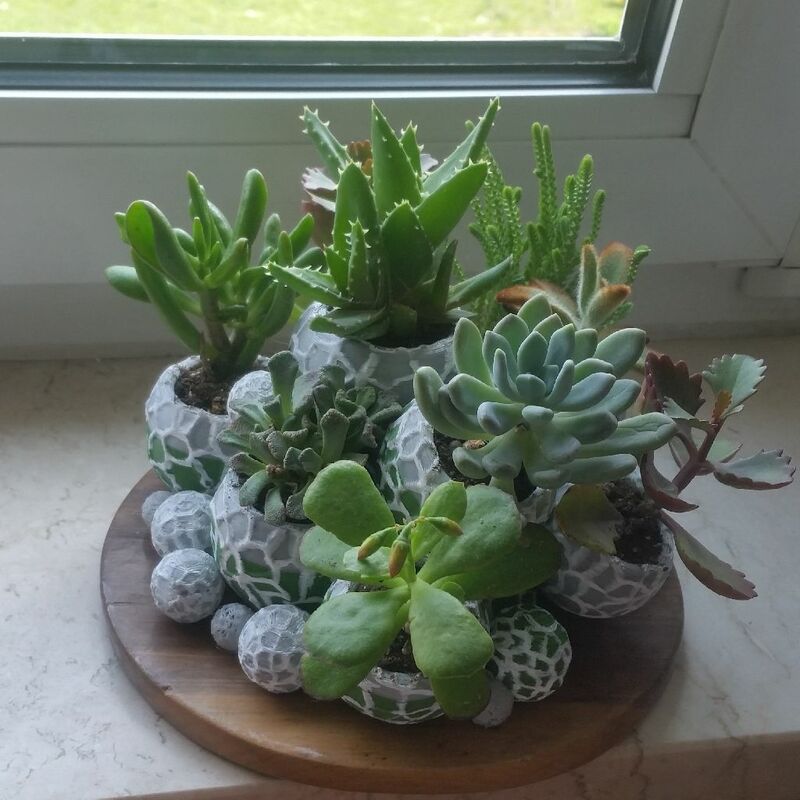 I have bought a bunch of beautiful small cacti but didn’t want to plant them into an ordinary flower pot. 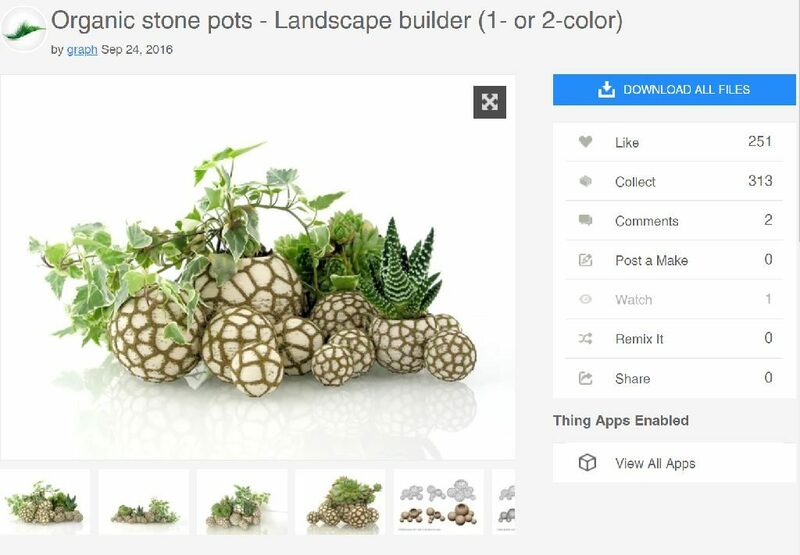 So I searched in the internet for some stylish ready-to-print flower pots and stumbled across this one on thingiverse. In the according stl-file the pots are already connected with each other – but I wanted to make my own set up of pots. So I downloaded the stl-file. At the beginning I had to combine the stl-file of the pot (one extruder/ material) with the stl-file of the organic net (another extruder/ material) into one single stl-file. I did that with Slic3r. 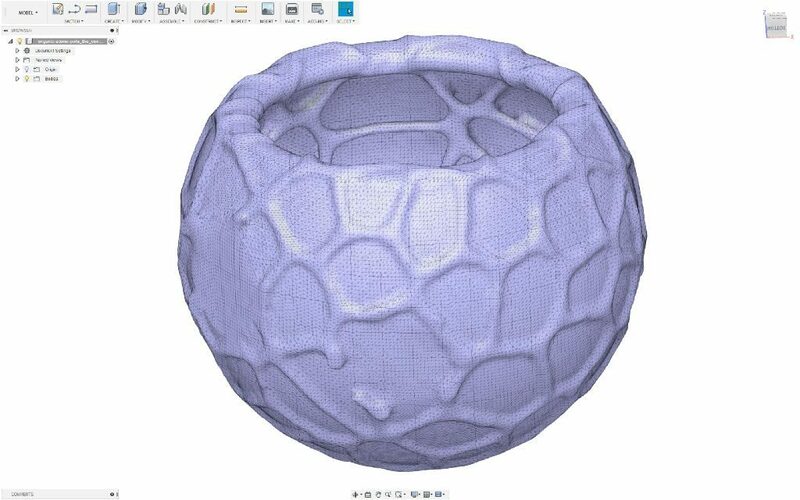 Then I edited the mesh and separated the balls from each other in Fusion 360. The mesh editor in Fusion 360 empowers you also to close holes and smooth mesh surfaces of stl-models. Then I ended up in a mesh like this one, that I could print out with just a single extruder. So I printed out this pot in different sizes (can be done via the ‘scaling’-function in Slic3er). By using a white correction pen, I emphasized the lines of the organic net on each of the pots. After that the cacti can be planted into the pots. With a simple hot glue gun the pots can be glued together on a fine piece of wood. A big syringe helps me to water the small cacti.